What's better than a comfy leather tote and a pair of comfy heels to go out for shopping ? :-) The other day a girl asked me about those sandals whilst I was in a shop, she said she liked them and wanted to know the brand and where I had bought them. Sometimes it happens to me too to look at someone's outfit and wish to know where their clothes and shoes come from, I have to say I am normally a bit shy when it comes to asking for an information, a thing that is so easy on a blog is not as easy in everyday life ! ;-). It made me think that we should be more open to networking also in our town, with those around us. Anyway, I have many shoes but those are surely one of the comfiest pair of high heeled sandals I bought for this summer !. I was also wearing that leather tote bag from Diesel, I like the color, very "Tiffany blue", it was love at first sight with that bag I found on sale, I couldn't believe my eyes cause I am not so lucky when it comes to bargains !. What about you, are you usually lucky when it comes to sales ?. Now I going to download some more apps for my brand new Ipad 2, it was my birthday present from hubby :-) and I am so happy with it !. Thank you for your birthday wishes and for your kind comments !. I will introduce you to my new Bag soon ;-). Before I post this...Go and watch Super 8 at the movies, I loved it and I keep being a huge JJ Abrams fan !. Cosa c'è di meglio di una comoda borsa a spalla e un paio di tacchi alti ma comodi per un giro di shopping ? :-) L'altro giorno una ragazza mi ha fermata per chiedermi informazioni su questi sandali mentre ero intenta a fare shopping, voleva sapere di che marca erano e dove li avevo comprati. A volte succede anche me di guardare il look di qualcuno e di desiderare di conoscere da dove vengano i vestiti e le scarpe, devo ammettere che non lo faccio spesso in quanto divento un po' timida, una cosa tanto facile da chiedere su un blog non è altrettanto facile nella vita di tutti i giorni !. Mi è venuto da pensare che dovremmo essere più aperti al networking anche nella nostra città, con coloro che ci circondano ;-). Comunque, devo dire che ho molte scarpe ma questi sandali sono sicuramente tra i più comodi comprati nel corso di questa estate !. Indossavo anche questa tote bag in pelle di Diesel, mi piace il colore, molto "Blue Tiffany", è stato amore a prima vista per questa borsa che ho trovato a saldo, proprio io che di solito non ho fortuna e non riesco mai a risparmiare ! . Che mi dite di voi, di solito siete fortunate con i saldi ?. Ora vado a scaricare qualche bella app per il mio nuovo Ipad 2, regalo di compleanno del mio maritino :-), ne sono entusiasta !. Grazie per i vostri auguri e per i commenti !. Vi farò conoscere la mia nuova Borsa molto presto ;-). Prima che finisca questo post...andate a vedere Super 8, a me è piaciuto tantissimo e confermo la mia ammirazione per JJ Abrams ! :-). quella borsa ha un colore magnifico mi piace tanto! You look amazing!! !LOve the bag!!Kisses!! Ohh, what the nice shoes!!! Thats pretty and Your dress - very, very original! You look gorgeous , as allways ;) !! OMG looks so beautiful, I like blue very much and loooove your outfit. PS Ti aspetto da me! Te invito a participar de mi sorteo y mi ultimo post. Those shoes! That bag! I love it all!! Love your dress and your sunnies! Tesoro il vestitino è un qualcosa di meraviglioso! Thanks for commenting and following on my blog! You have a great blog and I follow you! You look amazing in this dress, the print is fantastic! mi sono inamorata del tuo vestito! !tutto il outfit e' bellisimo!! Thank you for your comment.I agree with you so...i follow you and wait to do the same.I like you blog and this dress is really beautiful. It is a pleasure for me to follow your blog. I love tote bags, also. love this look dear! the shoes and the dress are my favorite ! you are so pretty! somebody's looking fine in that dress/outfit fantastic. i'll ask people about their clothes or accessories, depending on the circumstances. sometimes, i can be shy about it, though. You look gorgeous. Love yoru shoes!! Btw, I love your dress, you look amazing. To your question: I buy clothes only when they are in sale, because I hate the feeling to pay too much for something. I´m your 1092 follower, I would be happy if you follow me back. cute dress so unexpected but lovely! great photos! ma ke simpatico il tuo vestito! Thanks for stopping by. Amazing dress, love the shoes! Thank you for your visit, lovely. Hey Vale first of all thanks for your visit! I dont write twitter but i will write you and email,ok? Nice dress! you look so beautiful! Wow, I love the heels! And the dress is also beautiful. :) Thank you for your comment and of course I will follow you, hope you'll do the same. you are just TOO FAB! love the bold graphic on the dress, blue bag, and colorful heels!! Sono una tua nuova iscritta, spero che ricambierai. And yes, sure, let's follow each other. I love your outfit, GORGEOUS!!! Love the Mod feel to this outfit, You so lucky that your hubby got you an Ipad 2. I love the outfit, the shoes are beautiful, kisses. I love it when people ask me about my clothes =) In real life. Ciao Bella!! adoro il tuo look!! u look cosmopolita and so fashion! really like how u combined all of it! How fun is that outfit! Stai benissimo in questo outfit, mi piace proprio!!!! Gli occhiali sono stupendi!!! Passa a trovarmi, ti aspetto! Bellissima la borsa color Tiffany!! mi piacciono molto anche i sandali. Absolutely gorgeous pictures! Can I raid their closets, please?? I would like to participate, follow you. Existem muitos blogs aqui na blogolândia, mas poucos se sobressaem. O seu está entre estes. Hai perfettamente ragione, dovremmo essere meno timide anche all'esterno! Comunque aveva ragione a chiederti dei tuoi sandali, sono davvero belli! Ps ti sto scrivendo dall'ipad2 in questo momento! 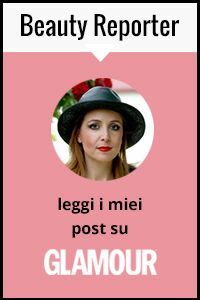 Lo sai che i post non si possono scrivere? Ti va di collaborare al progetto "Gioielli & Bijoux" il fashion blog dedicato al meglio della bigiotteria online? ...ho già in mente qualche forma di collaborazione che sicuramente ti piacerà! I´m follow you :-) Follow me back! Is that a Mango dress?! You're kidding me right? It looks so good! waaaaaaaaaw super cute! love the shoes! I understand why someone would ask about your shoes! I would too. Sorry for taking so long to get back to you, but I am not on poupeegirl, sadly..
You look super adorable btw! That dress is so stunning on you. :D You're really pretty!! p.s. cosa hai comprato di bello?! Uh, I love your dress! :) Nice outfit, I like how you matched the whole look. Thanks for your comment and sure we can follow each other (I already follow you). hello cookie!! th dress is dgreat!! Adore the tiffany blue of your bag. You look very chic Valentina! Great blog !!! And thanks for your comment :) !!!! I follow your blog! Very nice outfit! I love your dress! Kisses! Agree, we must be more open to socialize, also in the real world!! Think most of us have a lot to learn when it comes to that area! Hi!! it´s a great idea follow between us, i follow you of course!! and you look is amazing!! i love your shoes, they are so colorful and pretty ! Greetings from Barcelona! I am not at all surprised that she stopped and asked you. You look absolutely gorgeous. And so cool that you got an ipad 2 for your birthday! Have fun playing with your new, smart gadget. I am loving your shoes. Ciao bella donna!!!! I'v missed you, the truth is that I don't have much time to blog, or to read my favorite blogs, now that school started, holidays are over and the daily routines takes all of my time & energy!!! Thank you so much for your informative and helpful comment! I am sure thta I will try a LOT before I decide, anyway I will wear it at works and to read...but it must be chic and beautiful! You look GREAT in that dress, but you always look GREAT!!!!! Kisses from a (almost)rainy Greece!!! Bacci!!! Fashionable print.It is great !! Thank you so much for following me. I adore that fress and you and your blos ao I am following. let´s be good blogger friends. I really love your bag (especially the colour) and the shoes! You look gorgeous and your shoes are amazing I love them. oh how perfect! love that dress and the bag together!! what a cute outfit! you're so brave to go out shopping in heels. i would be falling all over the place! thanks for the blog lovin' girl! I love that dress! And the shoes, too. :) I know what you mean about being shy, though. I saw a girl today with the cutest flats exactly like what I've been looking for. But I was too shy to ask where she got them! please visit my blog and become a member if you like it, this would be an honour for me! Thank you for comment dear.. I'm following you so if you want follow me back!! ELEGANT! I love your dress and the color scheme! Such a beautiful outfit and your blog is so nice! Thanks for the comment. i follow you. can you follow me back? Love the pictures! Love your look! thanks for stopping by...your blog is totally awesome...the name is insanely good! and i love your outfit...how chic! las sandalias son una maravilla! I enjoy sales but I don't often buy clothes when they take place in shops ;] Your shoes are amazing! Colours are amazing! and what w dress! it's so original. love your outfit, you´re amazing, i follow you again by the problem and i hope that it´s okey! You asked me to let me know if i'm following your blog and yes I am following your blog through bloglovin! :) So great blog you have! WOW! You look stunning here! This dress is a head-turner, and I love the shoes you paired with it!! WOW !!! I want this dress!! It fits you so well... lovely! I LOOOOOOOOOVE THE DRESS! OMG! This is too cute! Love LOVE everything about it!